Software giant Microsoft has agreed to buy GitHub, the popular code sharing site, for the significant price of $7.5bn. Whilst this could be viewed as paying over the odds for the company – GitHub was previously valued at around $2bn back in 2015 – the share-based deal will do little to impact Microsoft’s overall financials this year. That said, according to Bloomberg the deal will make billionaires of Tom Preston-Werner, Chris Wanstrath and PJ Hyett, and turn them into some of Microsoft’s biggest individual shareholders. The deal puts an end to speculation over the future direction of GitHub which has been looking for a new CEO after its founder Chris Wanstrath announced he would step down from the role around 10 months ago. Following the closing of the deal, Microsoft VP Nat Friedman is expected to become the new GitHub CEO. It is understood that Wanstrath will become a Microsoft Technical Fellow. “Microsoft is a developer-first company, and by joining forces with GitHub we strengthen our commitment to developer freedom, openness and innovation,” said Satya Nadella, chief executive of Microsoft. 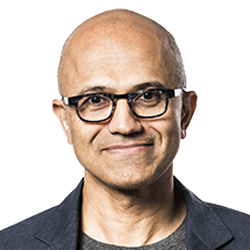 Nadella is seen as an advocate of Microsoft’s role in better supporting open source development and it could be seen that his views, which have most certainly moulded Microsoft in the new world software company it is today, have made the deal with GitHub possible. If you look back to when GitHub came about its ideologies did not sit that comfortably with those of a software business like Microsoft. The deal will no doubt make GitHub a most happy entity, who wouldn’t be with Microsoft throwing $7.5bn at it, but under the stewardship of Friedman there is going to be plenty of work needed to eb done to keep developers happy. Many will no doubt see this simply as Microsoft buying its way into open source, and it will likely become all about just how independently, and openGitHub can operate. 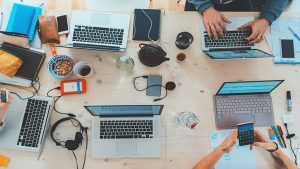 Developer reaction is likely to be very split on news of the deal and it will be worth keeping an eye on how reaction benefits the likes of BitBucket and GitLab.